Trust is a fundamental emotion. Here we see its link to perfect peace. Certainly a desirable state of soul and so I would conclude trust is important. I will suggest that everyone trusts. If this is true the key question then becomes, what are we trusting in? The deceiver would have us trade perfect peace for an endless pursuit of lies. The deceiver promises perfect peace and happiness but they seem to always be just round the bend. Work a little harder now and it will be better later, focus on the future a little more, the present will be there tomorrow. The deceiver needs it this way; his promises always just out of reach. For if they were to be within grasp we would realize, when we went to take hold; there is nothing. We would realize the pursuit of his lies were empty and we might look past them, past this world. At a moment of clarity such as this beware of the next thing (1 John 4:1). Trust in yourself, trust in others, the deceiver would have you trust in anything of this world so long as it is not in Christ. One after another, lies of promise realized empty after years of toil until hope is lost that this longing in our souls for something we call happiness will never become. What do you long to do each day? What do you look forward to when you wake up each morning? The truth: the pursuit of happiness by way of trusting in the promises of this world are destitute, they are empty lies. The Good News: there is a way. One true way. All you need do is trust in Jesus. Put God in that place of what you long for in the morning. Have a single eye for Him. Take a step towards Him on Thee path and it will prove sure. The light will shine brighter and brighter. It will become clearer and clearer, this is the true way. Know this. Trust is linked to worship and there is a battle for your worship. The deceiver is prepared to give you things of this world to trust in so that he can steal your worship from God. 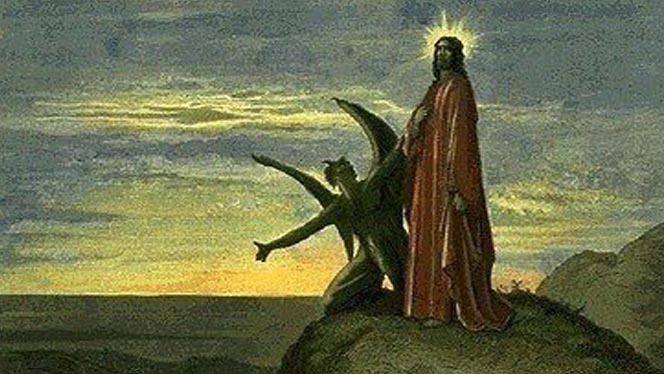 We know the deceiver’s battle tactics. We’ve seen the war for worship play out through the pages of scripture. 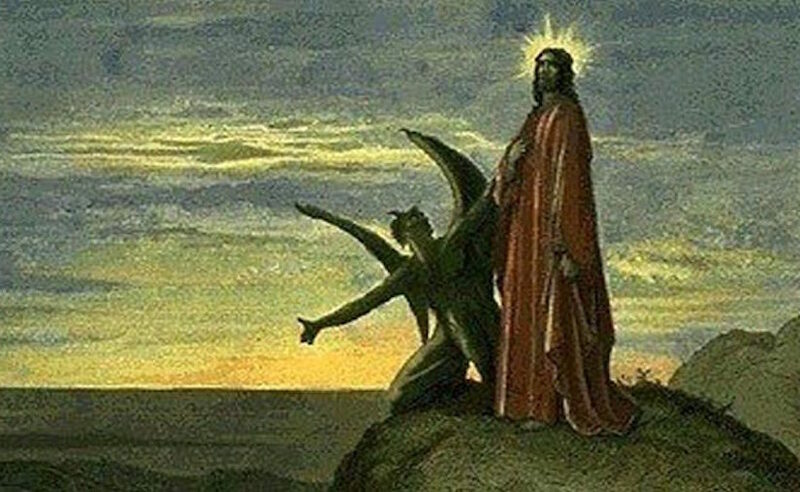 One of the largest battles was when Jesus was tempted by the deceiver in the desert. After many failed attacks the deceiver goes in with everything he has. His last assault of this battle. He takes Jesus to an exceeding high place and shows him everything. It is a simple proposition that he still uses today: if you will worship me instead of God I will give you things of this world. The proposition’s underpinning value lies solely in trust. In my estimation, the key question when considering this proposition: where should we place our trust, the promises of this world or the promises of God? We must choose. How often is Satan proposing this to you? Are you aware of it? Of your choice? Why is Satan proposing things of this world in return for your worship? Are things of this world worthy of your trust? What do you trust, things of this world or God? What do you long to do each day? What do you look forward to when you wake up each morning? How often is Satan proposing that you trust in this world? May thine eye be single and thy body full of light. Extra Credit: 5 min video on simplicity and having a single eye for God.